Recognize your favorite corporate or sports superstar with a Golden Rising Star Award. 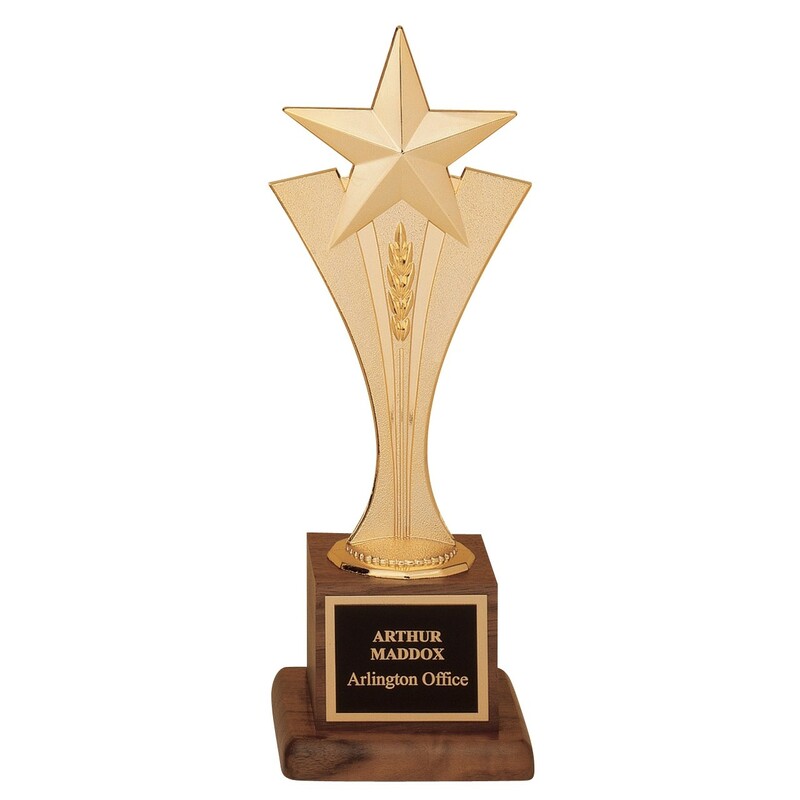 This achievement trophy features a gold metal rising star attached to a solid American walnut base. Stands approximately 10 inches tall; price includes 5 lines of engraving.